The product did not arrive like I thought it would on time and the two actuators were not packaged very well, but they were perfect for our boat trailers. Item arrived exactly as described and depicted. 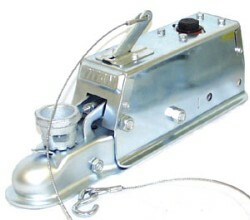 It was easy to install--bolt holes matched perfectly and very easy to bleed the brake system on my boat trailer. I'm very happy with it.